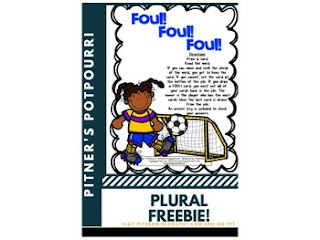 This FREEBIE is a fun way to practice forming both regular and irregular plurals. Students draw cards and spell the plural form. If they draw a FOUL card, they lose all their cards.